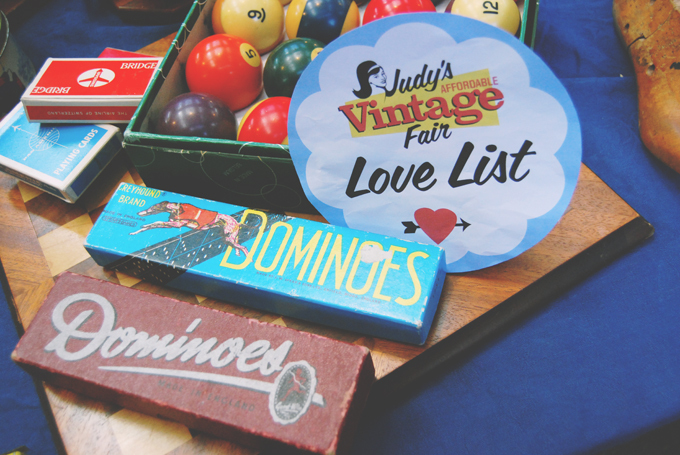 Yesterday, I posted all about the amazing street style at Judy's Vintage Fair at Spitalfields. 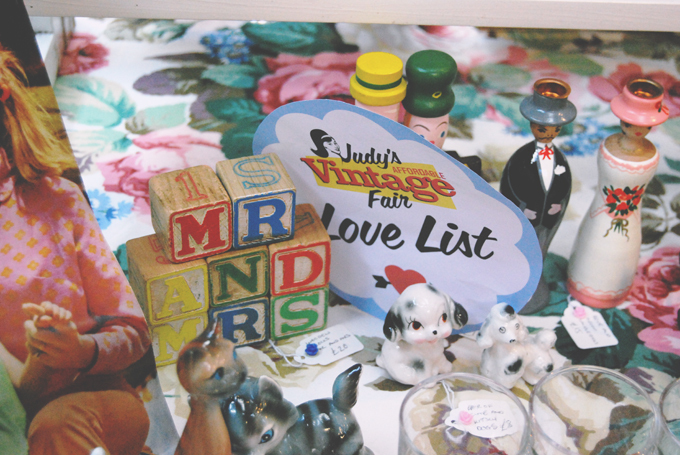 Well, as well as snapping photos of the lovely shoppers, I also compiled a love list of all the great things for sale. As I was shopping, I was keeping an eye out for anything that would make a great Valentine's gift. After much deliberation, I've nailed it down to my favourite items. Ready for a love fest? Let's go! 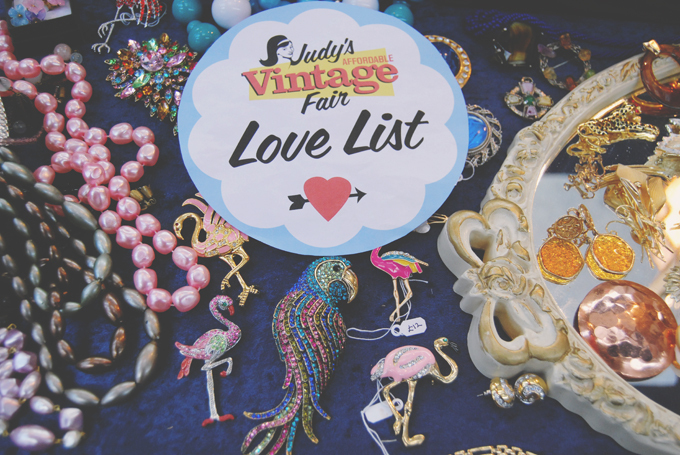 My first stop was the wonderful I Heart Vintage. 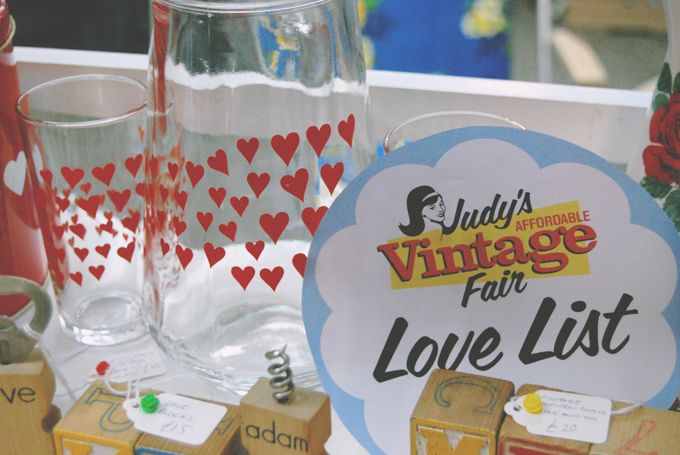 After visiting Judy's at Spitalfields in August, I sang the praises of this lovely stall and it's owner, Rebecca. Seriously, she is pretty much the nicest person ever. Not only does she always have time to speak to everybody who visits, but she remembers everything I've ever bought from her... and that's a lot! 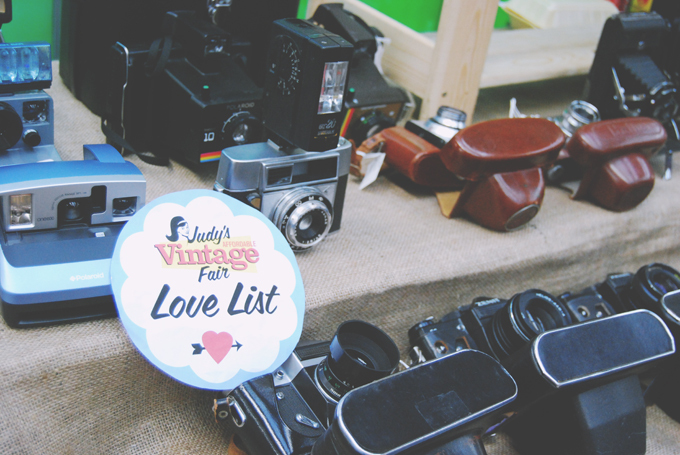 In fact, nearly everything in this post is from I Heart Vintage! 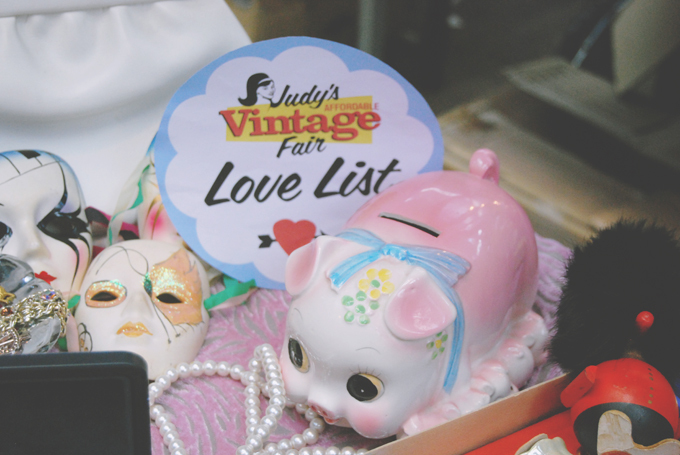 From there, I headed over to Madame Fifi Presents, where I spotted this gorgeous little piggy bank. I know I've mentioned before that pigs are my favourite animals and I can't resist cuties like this one. I tried, really I did, but by the end of the day, I had to go back to adopt it! Madame Fifi Presents also had these super cute brooches. I think the duck one is my favourite. Quack! 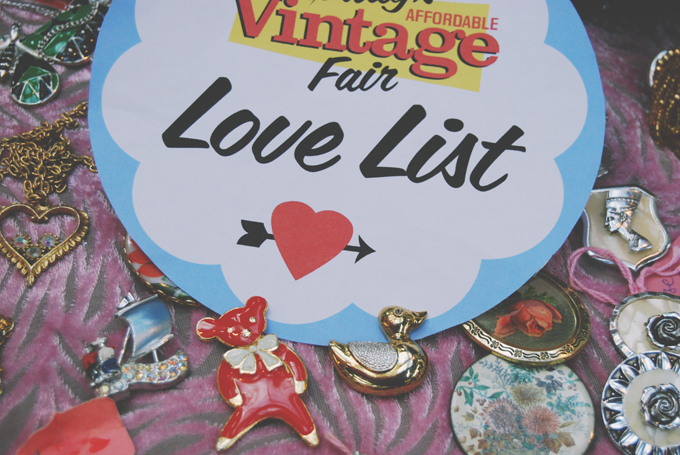 There was more vintage brooch goodness to be had over at Magpie's Attic. I clearly have a thing about animal-shaped brooches. These flamingoes are pretty amazing, right? Unfortunately, I'm not really very good at accessorising, otherwise I'd have been all over these babies! 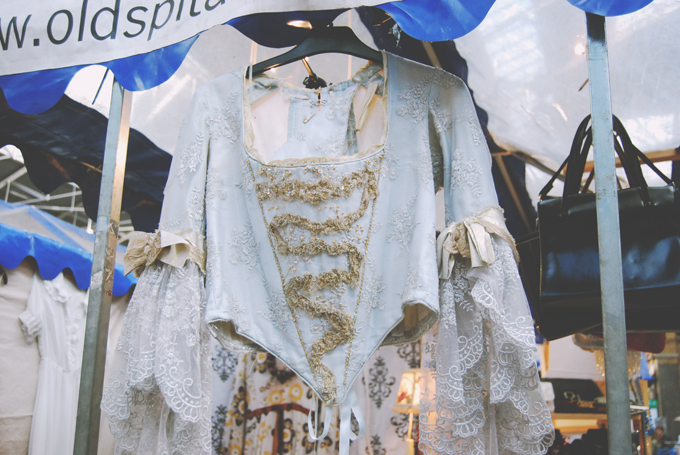 Also at Magpie's Attic was this amazing 1970s Marie Antoinette-esque top. It's absolutely incredible! It actually came from a theatre costume company which I find pretty cool. How I wish it would have fit me! I'm not even joking when I say it would never come off! I really hope somebody found it a loving home. 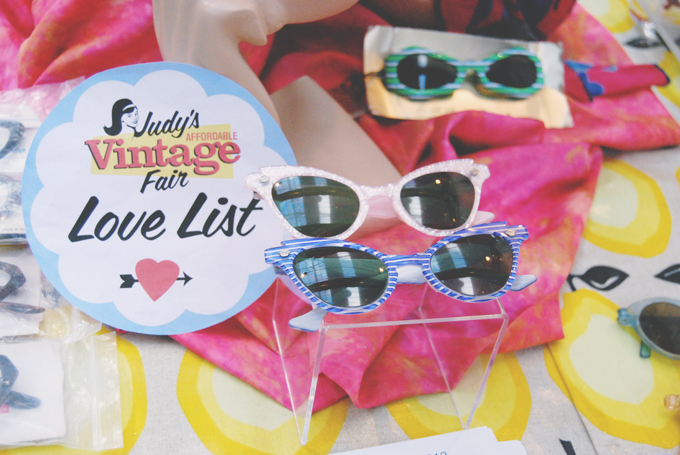 Over at X-Spex, there was a whole range of amazing eyeglasses and sunglasses alike. This pretty pink pair were getting a lot of love. They were just a little small for my face, unfortunately. Thanks for the round face, Mum! 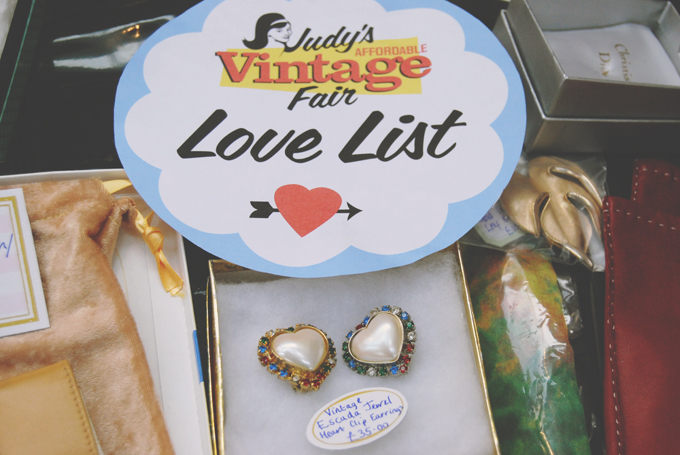 Sticking with the accessories theme, these heart shaped earrings at Eclectique Chic. How perfect would they be as a Valentine's gift? I love the rainbow jewels around the edge. Over at Old Pony Vintage, there was a whole assortment of eclectic goodies such as these rather amazing scissors. At least, I think they're scissors. On closer inspection, they may be some sort of pincer device. Nevertheless, they're insanely ornate and I love them! Vintage books from Claudia Kirkman. I adore books in the first place but the beautiful covers here are absolutely captivating. As a new enthusiast to film photography, I was pretty spellbound by this array of vintage cameras. Perfect gift for the guy in your life. 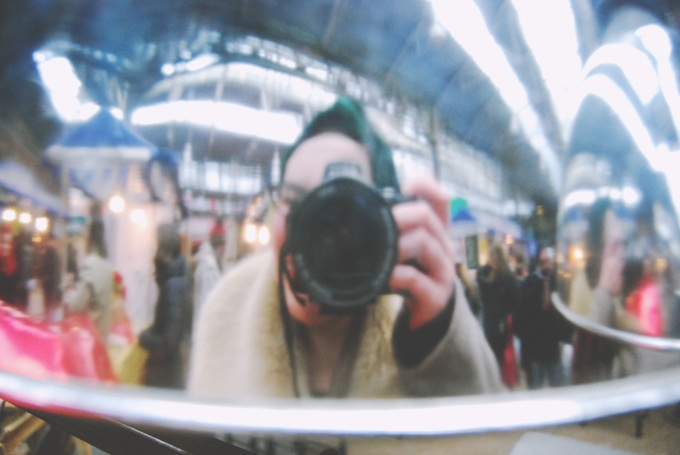 Or the girl who loves film photography. Cough. 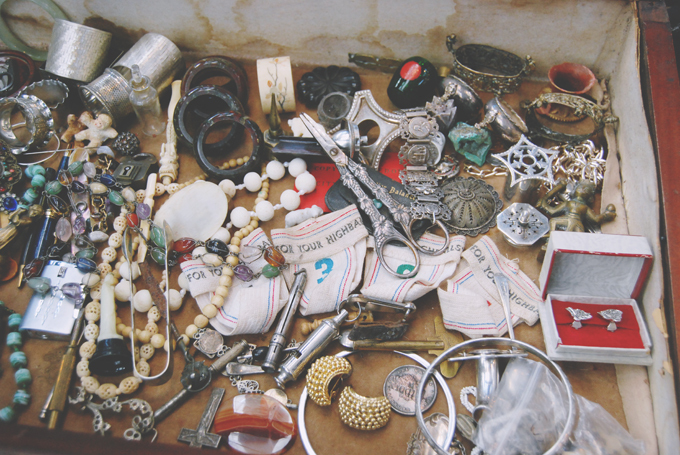 There were more gifts for guys over at Before Brasilia. 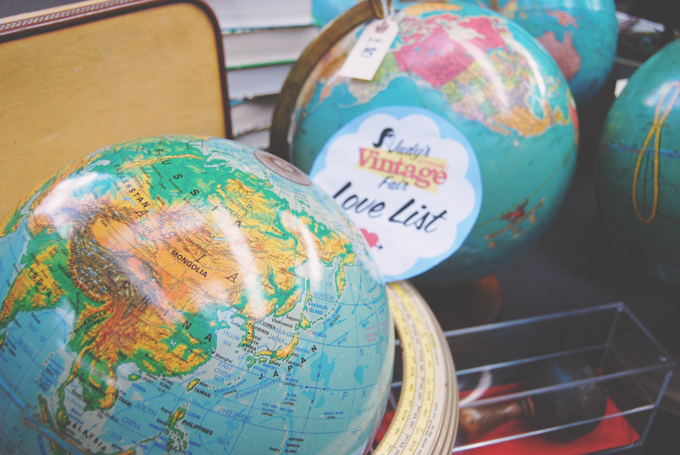 I'm a big fan of globes so this was heaven for me! Still over at Before Brasilia, I spotted these dominoes. This was a big deal for me because my grandad had the exact same box of Greyhound Dominoes. My brother and I used to spend hours playing with them as children so seeing this box again was like travelling back in time. Such a magical moment! 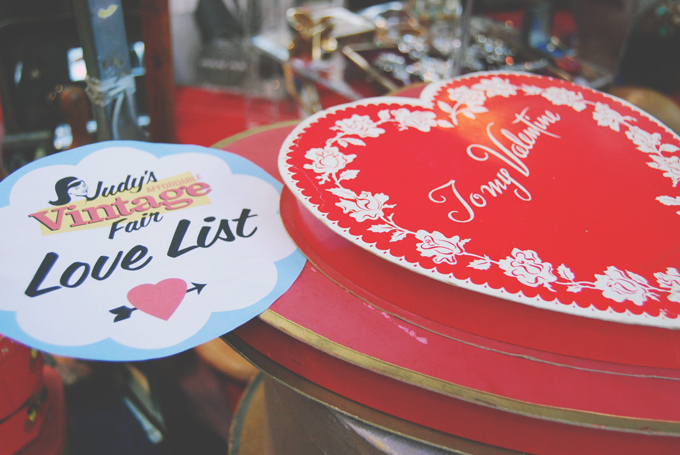 There were also more traditional Valentine's items on the stall, like this beautiful heart-shaped chocolate box. 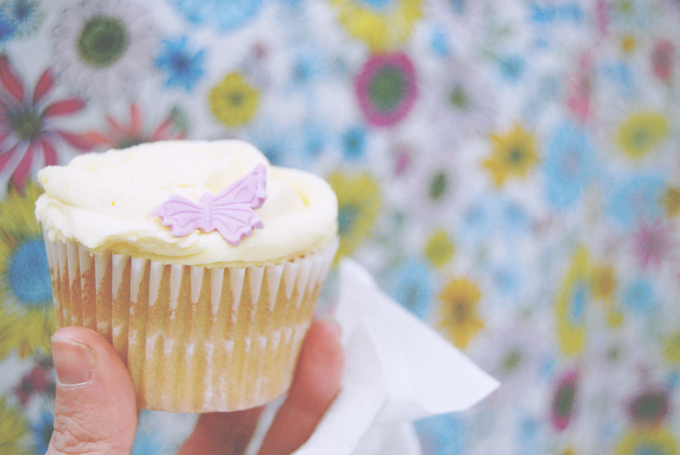 Finally, it was time to stop off for a quick cupcake break from Betty Lou's Bakery before heading home. After trying a Terryriffic Chocolate Orange last time, I settled for Luscious Lemonade this time around. It was just as good! Absolutely scrumptious! Phew! After a long-very happy- day, I headed home, laden with the Madame Fifi Presents money box, a huge red 1960s Samsonite bag from Before Brasilia and the start of a deer collection bought at I Heart Vintage. Altogether a very productive day! Lovely pictures, looks like a great event. I love the covers on the vintage books! They don't make them like they use to! You should go during Judy's. It's the first Saturday of every month. Love the old games and love the globes. Oh my god those scissor/pincers are awesome. If they were scissors they would be perfect for snipping threads. I know! I don't know why I didn't buy them! 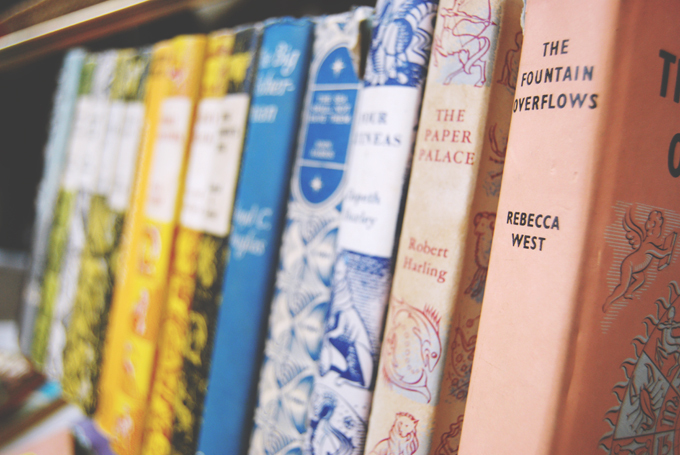 I love the photos, but my favorite is of the vintage books. I like the old covers, how they were made and also some stories. Antique books are really awesome! OK, I seriously want that parrot brooch...! Looks like a beautiful fair! 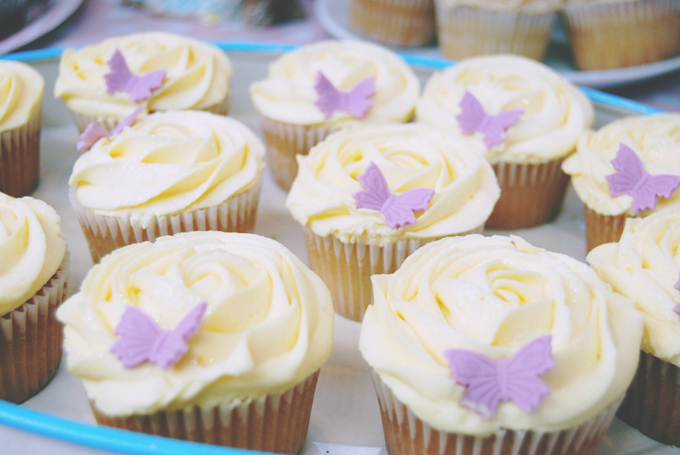 Those cupcakes look utterly delicious!